for $315,000 with 2 bedrooms and 1 full bath, 1 half bath. This 968 square foot townhouse was built in 1980. 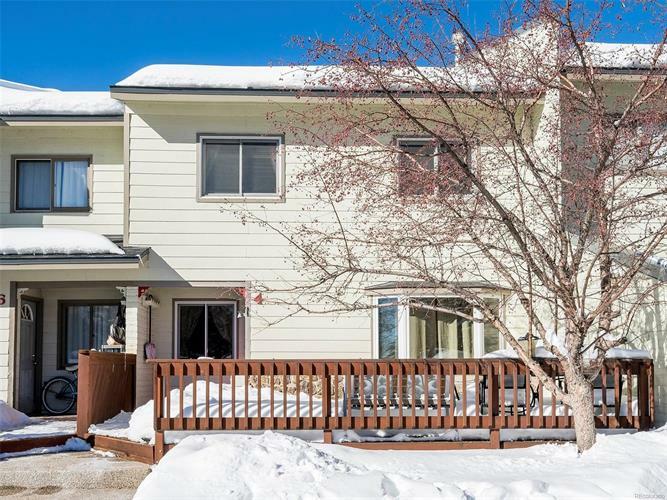 One of the best locations in Whistler Village Townhomes on Redwood Court with a large sunny deck perfect for outdoor grilling and enjoying the outdoors. Lots of updates in this townhome including a total kitchen remodel with quartz countertops, gorgeous custom backsplash; black appliances, beautiful wood floors, hot water heater, electric baseboards, real wood doors and trim and 1/2 bath. All the windows were also recently replaced including a sunny bay window and the roof was replaced last year. Relax poolside in summer or soak in the hot tub. Enjoy easy access to the free bus to get you to the ski area and around town as well as the trail system. This great mountain location is perfect for year round living or a vacation home. Low association dues keep things affordable. Redwood Court location lets the sun shine in and there is a beautiful mature flowering tree by the deck. This is a must see in Whistler Townhomes with walking trails all around. Furnishings may be negotiable.